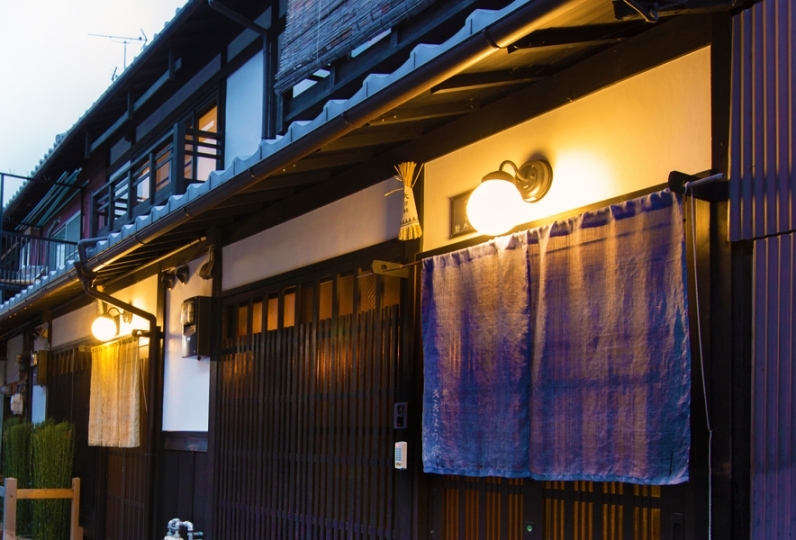 Old fashioned Kyomachiya nestled apart from the main street. 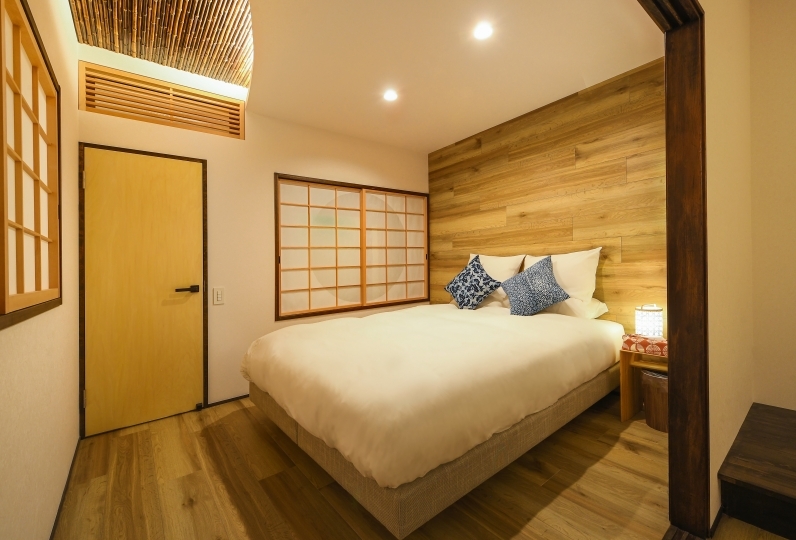 This relaxing Japanese style room will wrap you up gently when you open the lattice door on the other side of the long and narrow dirt floor. 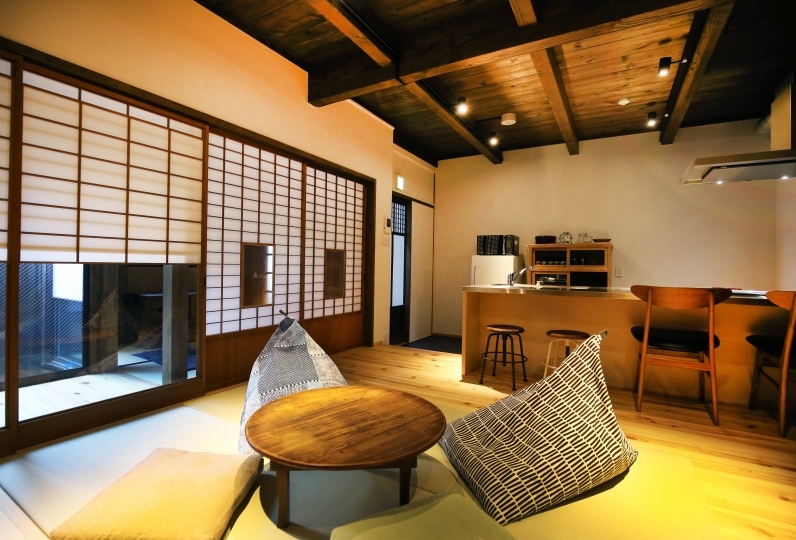 The second floor is traditional Kyomachiya mezzanine. 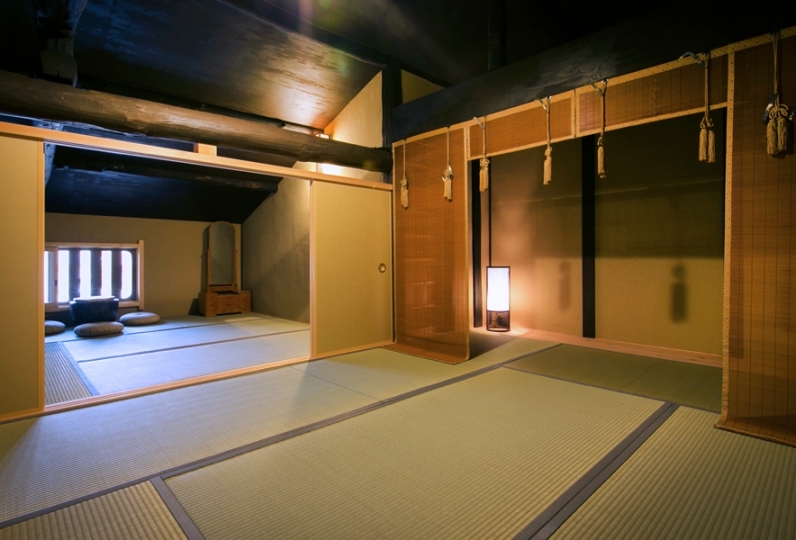 There is a western style bed room and 2 joined Japanese style rooms with beams. 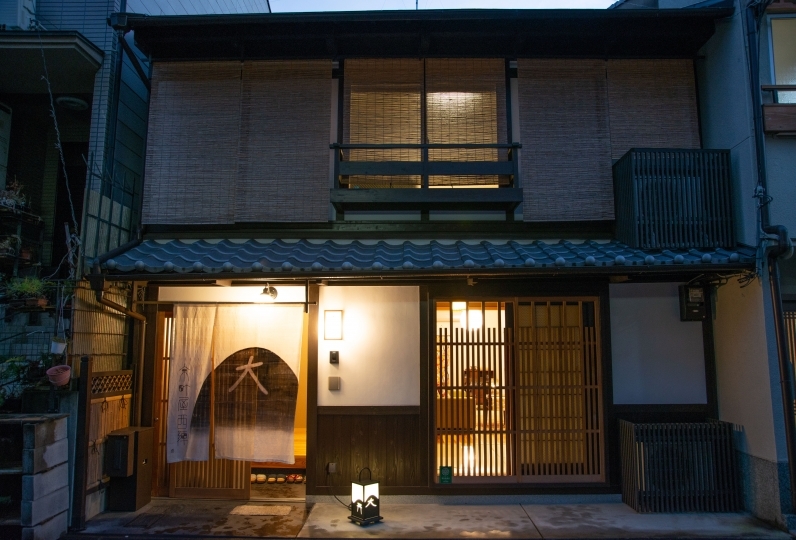 Your dreams might lead you into Heian era. Bath room with amenities, warm tile bath tub. 100% functional toilet. 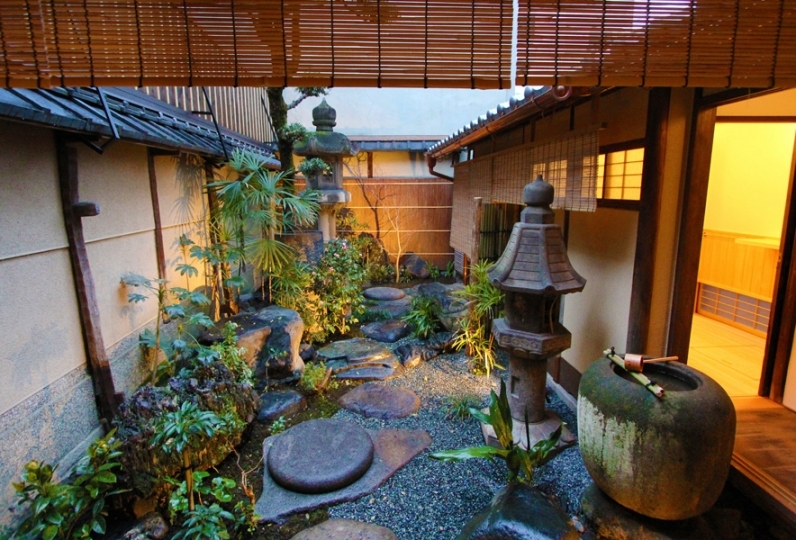 You can satisfied with a foothold hotel to travel all over Japan and for short trips as well. 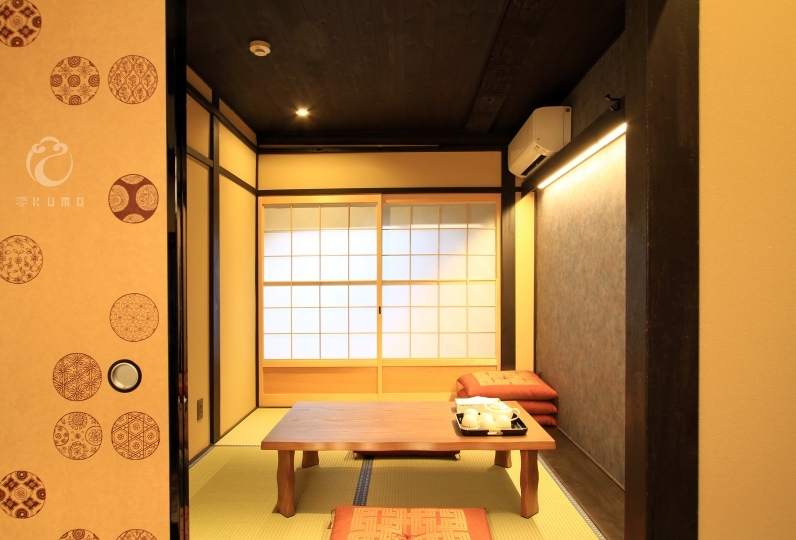 It is located in between Torimaru line Kuramaguchi station and Imadegwa station so it is easy access from Kyoto station. 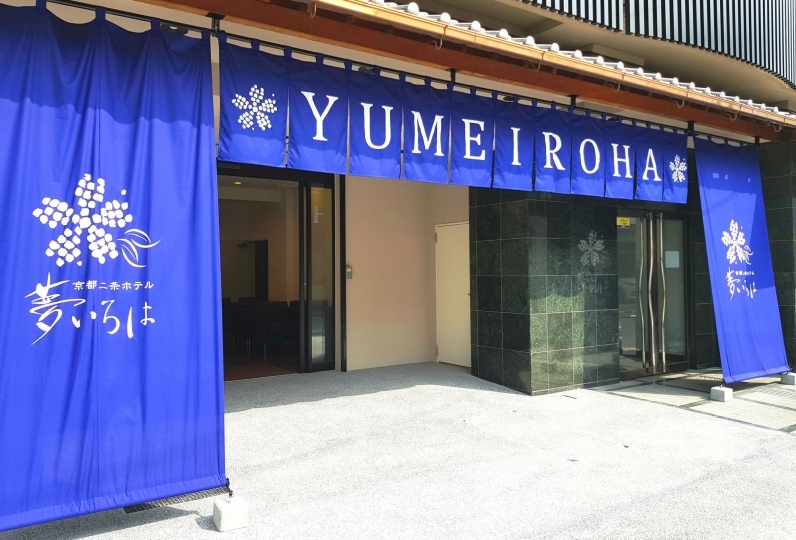 Enjoy Kyoto taste and feeling at Muromachian. The bath tub is with nostalgic and cute patterned tiles. 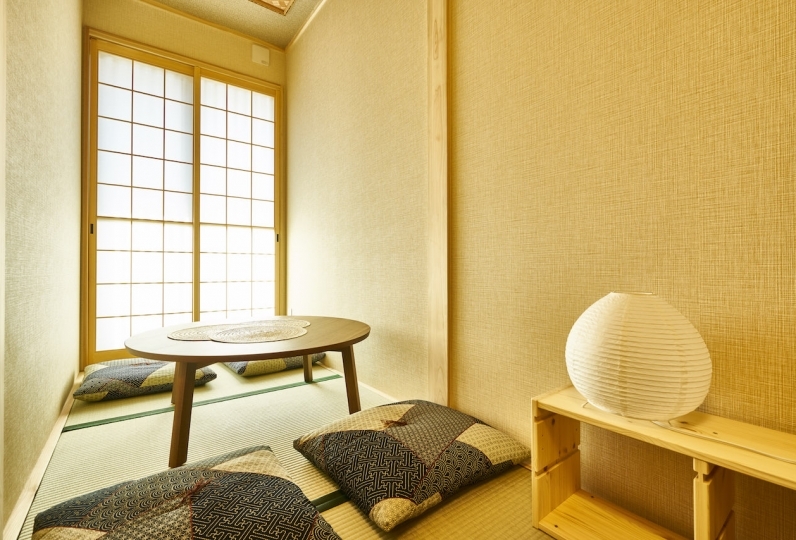 so you will be able to relax on the first floor. 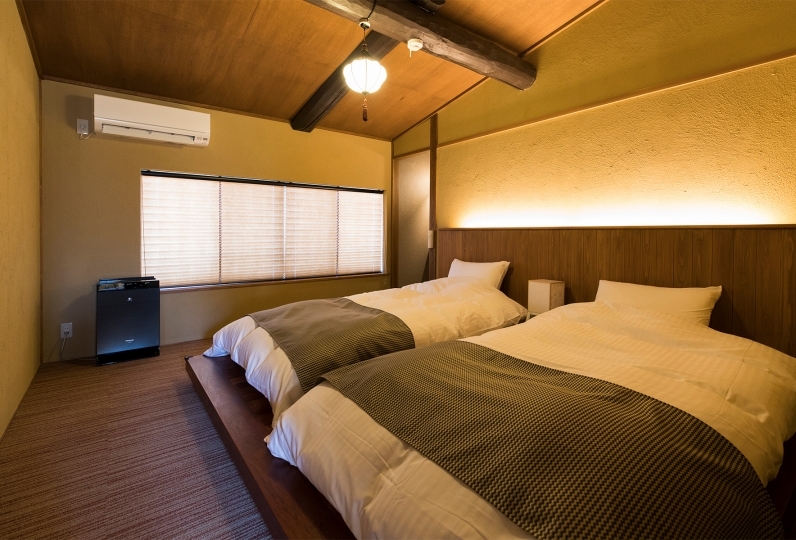 There is a bed room you can sleep well putting 2 single beds together and we kept the beams on the second floor, there is a Japanese style room where you can bend over your back with a low ceiling. You might be able to have a small exploration. Kuramaguchi entrance is one of the Kyoto’s 7 entrance and the base of Kuramaguchi highway. 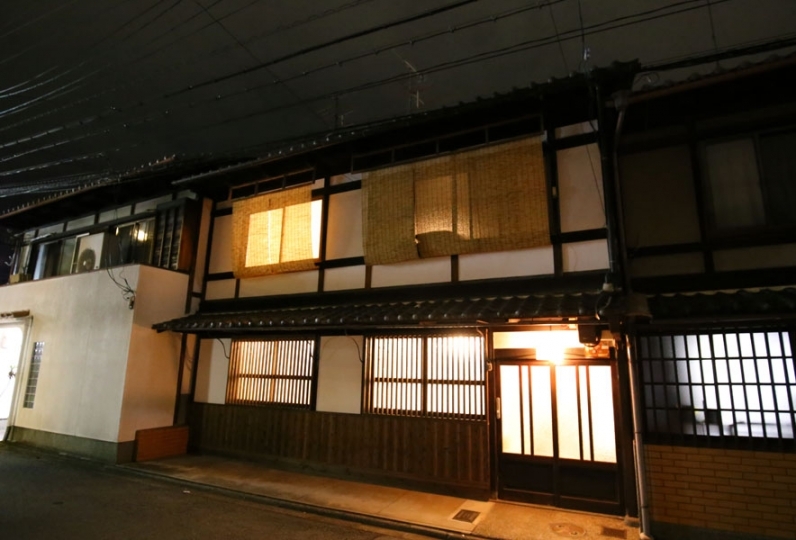 There is Karasuma line Kuramaguchi station and grocery stores, restaurants and convenient stores. 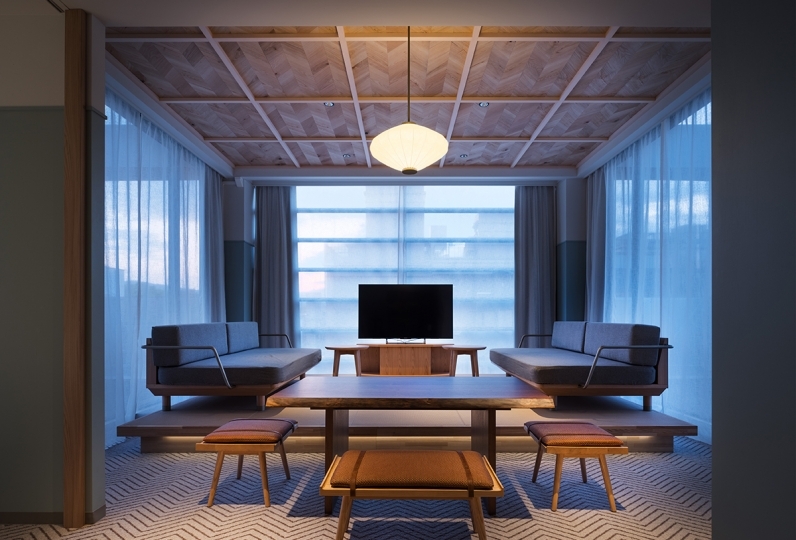 As you walk to Kyoto station area, you will see Doshisha university, Kyoto imperial place, world heritage Shimogamo shrine, Kamo river side with cherry blossoms in spring, there are much to see in the retreated style guest house. There are local people living next door. Please do not make loud noise after midnight around the building as not to disturb people resting. Please do not use washing machine after 10:00 pm. If you see a staff room sign on the door, a staff member is in the process of preparing the facility for your stay.